When assembled they are fully adjustable for different sizes mirrors, framed pictures or glass panels. 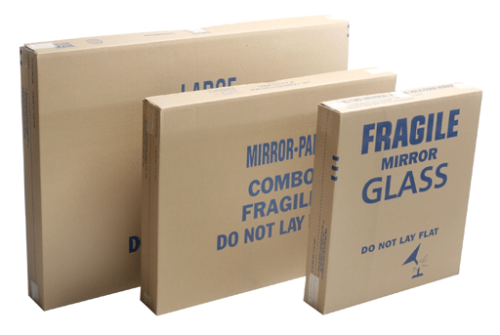 Small mirror boxes are available from Moving Ahead Services for low prices. The four 30” x 40” panels included in our small mirror box kit are adjustable to fit mirrors of various sizes, small picture frames, or glass panels. Ultimately, these small mirror boxes are ideal for anything of a square or rectangular shape that contains glass. 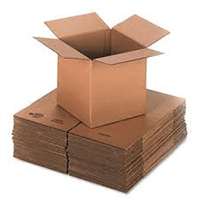 Made from thick, durable cardboard, these boxes are designed to fit the shape of small mirrors or picture frames and protect them while being transported to their new home. Even if you hire our professionally trained and certified movers to handle your move for you, there is no sure-fire way to prevent your items to be jostled around. Our movers always drive as carefully as can be, but bumps in the road and other factors can cause your belongings to shift, and if not properly contained, your glass items can break. 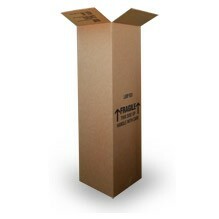 With our small mirror boxes, however, these belongings will have strong casing to secure them throughout your move. Many people don’t think about protecting their mirrors or picture frames until they are already in the process of packing, but by ordering our small mirror boxes, you can prepare these items and ensure that they will be safe.